In the face of accelerating extinctions across the globe, what ought we to do? Amid this sea of losses, what is our responsibility? How do we assess the value of nonhuman species? In this clear-spoken, passionate book, naturalist and philosopher Edward L. McCord explores urgent questions about the destruction of species and provides a new framework for appreciating and defending every form of life. 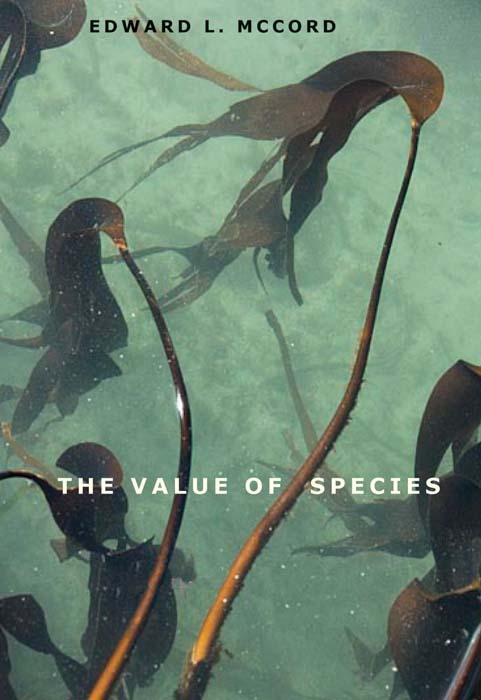 The book draws insights from philosophy, ethics, law, and biology to arrive at a new way of thinking about the value of each species on earth. With meticulous reasoning, McCord demonstrates that the inherent value of species to humanity is intellectual: individual species are phenomena of such intellectual moment - so interesting in their own right - that they rise above other values and merit enduring attention. The author discusses the threats other species confront and delineates the challenges involved in creating any kind of public instrument to protect species. No other scholar has spoken on behalf of biodiversity with such eloquence and passion, and none provides greater inspiration to defend nonhuman forms of life. Edward L. McCord is director of programming and special projects, University Honors College, University of Pittsburgh. He also is director of the university's Yellowstone Field Course and the Allen L. Cook Spring Creek Preserve near Laramie, Wyoming. He lives in Pittsburgh. Selected as a Choice Outstanding Academic Title 2012 for Biology within the Science and Technology category.